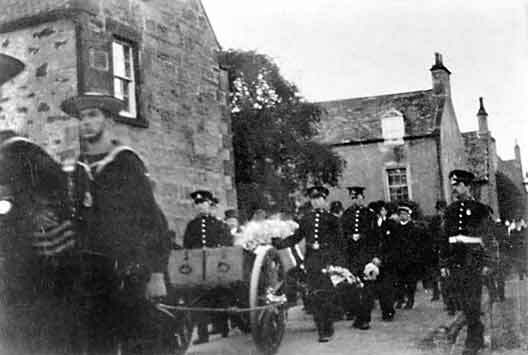 Cromarty Image Library - Funeral procession in Church St - c1916?? Funeral procession in Church St - c1916?? This WW1 procession past Buzancy shows two coffins on a gun carriage.